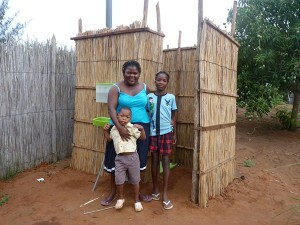 Over the last decennia millions of latrines have been built to improve the sanitation of people in developing countries. The human waste is captured in special dug pits. The liquid parts of this human waste seeps in the ground floor table. Unfortunately these liquids contain large amounts of nitrates and are superfluously polluted with harmful bacteria capable of polluting the groundwater table significantly. This phenomenon results for instance in situations that the groundwater from wells on the same compound cannot longer be consumed due to harmful bacteria and nitrate levels in this water reaching even to toxic levels. 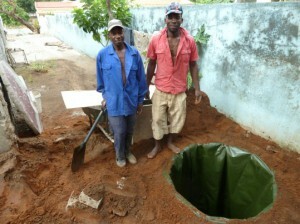 Our Dutch Latrine Bag (DLB) offers a simple and effective solution for this pollution problem. The DLB is a large strong plastic bag placed into the pit latrine preventing human waste to pollute the groundwater table. In effect the DLB delivers the opportunity to close the sanitation cycle and re-use human waste for agricultural and biogas applications. • Save significantly on purchases of fertilizer. Application of the DLB is interesting for Municipalities, NGOs, Public Utilities and individual households interested in preventing the groundwater table getting polluted and those target groups interested to re-use valuable nutrients for agricultural purposes. The DLB is made out of strong plastic materials and has a lifetime of at least 10 years. 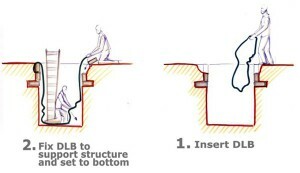 The DLB is not effected by automatic suction of human waste and can be installed easily. 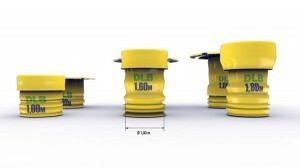 A standard DLB has a diameter of 1 meter ranging up to 1,8 meter deep into the ground. Upon demand different sizes are available.